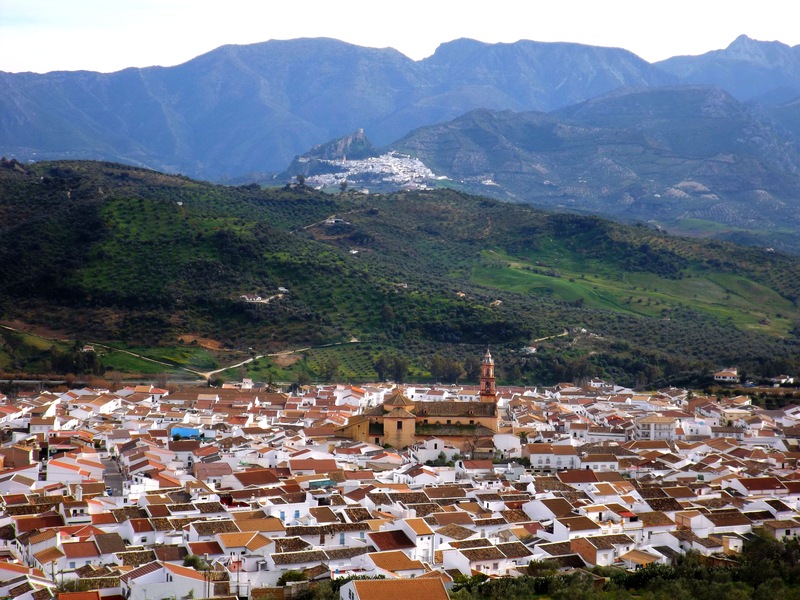 One of Andalucia’s ‘pueblos blancos’ (white villages), Algodonales sits beneath the Sierra de Lijar, just north of Grazalema Natural Park. The village’s main plaza is fronted by a large church, La Iglesia de Santa Ana, built in the 18th century; surrounded by bars and cafes, it is the social centre of Algodonales and is a busy and buzzing place in the evenings as families and friends come out for drinks and tapas. We spent two weeks in a charming B&B called Casa La Parra on the outskirts of the village where our next workaway host Julie lives along with her son Warren. We arrived on Monday 2nd March, the tail end of a long weekend to accommodate celebrations for Andalucía Day which took place on the Saturday, which meant we could see the plaza at its best and busiest. The fact that we enjoyed two weeks of gorgeous sunshine and heat meant that we spent many afternoons sitting under parasols around the main square drinking coffee and fresh orange juice and generally enjoying our current quasi-free and -unemployed carefree existence! If you get a chance to visit Algodonales then, besides soaking up the atmosphere in one of the many cafes lining the streets, it is worth going on a walk which starts by a small hermitage (La Ermita de la Concepción) and takes you slowly up the surrounding mountain and woods parallel to the village itself. The hike takes around 1 – 1 ½ hours during which time you can take in the views of the village and the surrounding valleys as you wind your way up higher into the mountain. 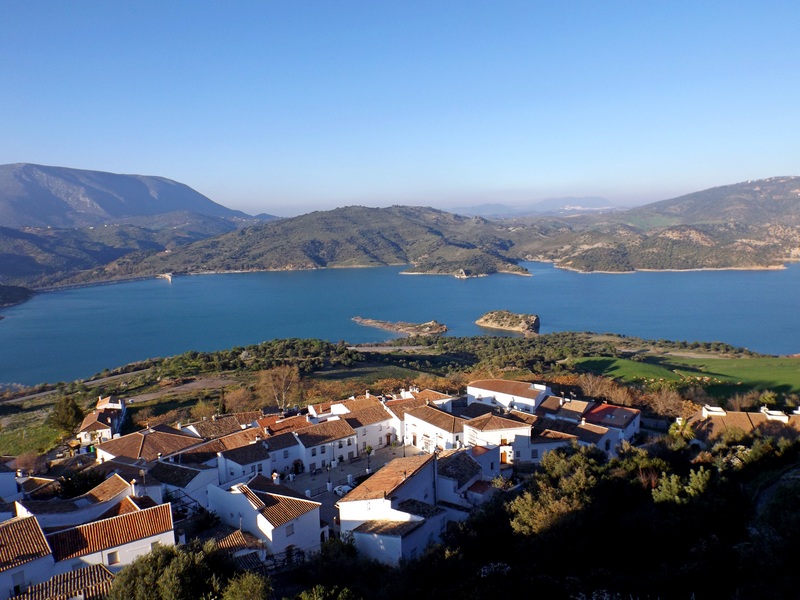 Nearby villages worth visiting include Zahara de la Sierra, which from our base at Casa La Parra took around 2 hours to walk to, but only around 25 minutes to drive (taxi!) back from. Its location at the top of a hill meant that the final half hour of the walk was a somewhat brutal climb in the hot afternoon sun. 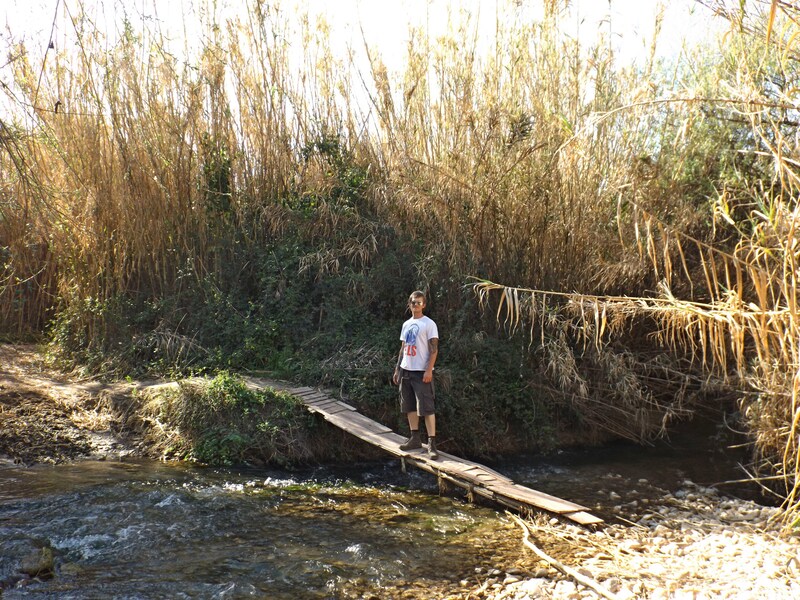 The majority of the walk, though, was much gentler; using the directions given to us by our hosts we followed a track which winds its way across the valley adjacent to a calm and narrow river (Rio Guadalete). This river filters into a stunning, deep blue reservoir which Zahara itself overlooks. 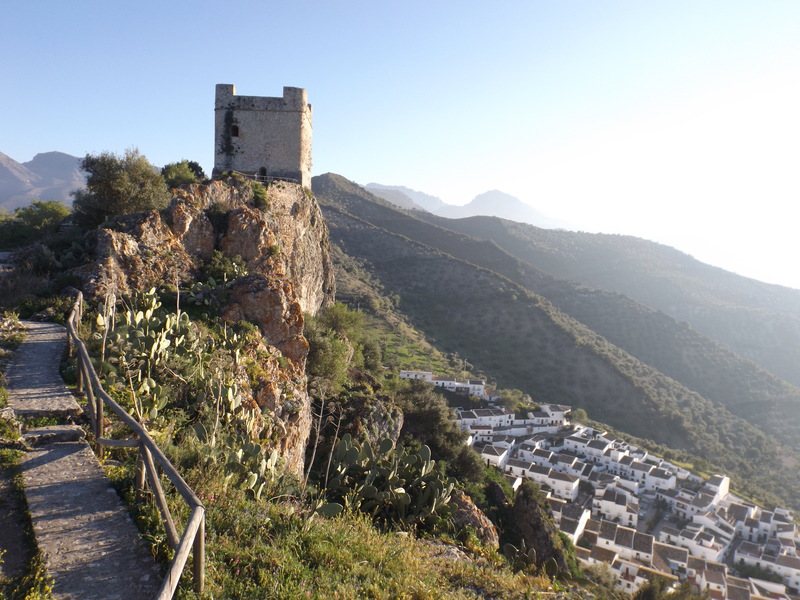 For the best views you can climb even higher to an old Moorish castle which sits atop the white village. Grazalama is another stunning village, which our workaway host Julie kindly drove us to one evening during our stay with her. The drive was stunning; from Algodonales we followed a slow road that snakes its way up and around the foothills of the Sierra del Pinar. It is a central point for tourists visiting the natural park of the same name, and with tourism as a key force economically, there are stricter rules on the painting of buildings here than in Algodonales: whereas in Algodonales you would see the odd deviation from pure white particularly as people decorated the outsides of their houses and doorways with brown and black tiles, in Grazalema the buildings are uniformly white and even the roofs match. Algodonales is around an hour’s drive from Sevilla and as Julie and Warren were going there on our first Saturday with them they kindly agreed to drive us there so that we could spend a couple of days enjoying the city. However, to say that we enjoyed it would probably be an understatement; we’ve been to some stunning villages, towns and cities so far during our time in Andalucía, but Sevilla really is something special. An important city both for the Romans during their conquest and occupation of Spain and, later, the Moors, who conquered the city in 712 after which it was – for a time – the capital of al-Andalus, Sevilla’s importance was taken to another level in the 15th century following the ‘discovery’ of the New World. Here, its location on the banks of the Guadalquivir river – with access to the Atlantic sea – led to its transformation to a key commercial port. In the late 17th century its river silted up, and the royal fleet was transferred to Cádiz which in turn gained prominence as Sevilla’s importance dwindled. Today, Sevilla is a lively and beautiful city whose heritage can clearly be seen in much of its stunning architecture. The Alcázar is an obvious highlight and its history probably runs parallel the city’s own: it seems that the site originally housed a Roman establishment, but the palace itself was built and expanded between the 9th and 10th centuries. During the 11th century it saw further enlargement under the Abbadid rulers, particularly Abbad II al-Mu’tadid who resided there along with a harem of 800 women. Under the Almoheds in the following two centuries the Alcázar grew even further, and parts of the palace from this time still survive. However, the present-day Alcázar in large part dates from the Christian Reconquest in 1248-9. Of particular note was Pedro the Cruel, who rebuilt the palace in Moorish style in the 14th century. This was not the end of the palace’s expansion and reworking, however; the gardens were still being developed into the 19th and 20th centuries. Sevilla’s Cathedral is another incredible piece of architecture: depending on the form of measurement used, it is generally considered one of the largest Cathedrals in the world, though the question of the best measurement is up for debate. Being the cheapskates that we are, Phil and I decided to skip going inside and paying the entrance fee. Luckily, Sevilla is a good place to enjoy on a budget, having an abundance of gorgeous buildings and streets to marvel at as you wander aimlessly around the city. 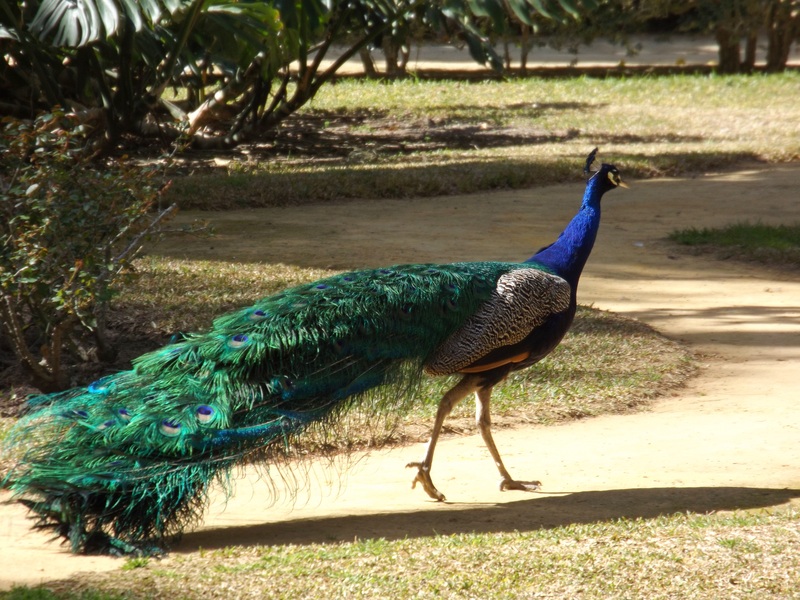 One place you must make your way to, however, is María Luisa Park, which costs nothing at all to enter and is beautifully landscaped with a variety of trees, plants, fountains and statues. 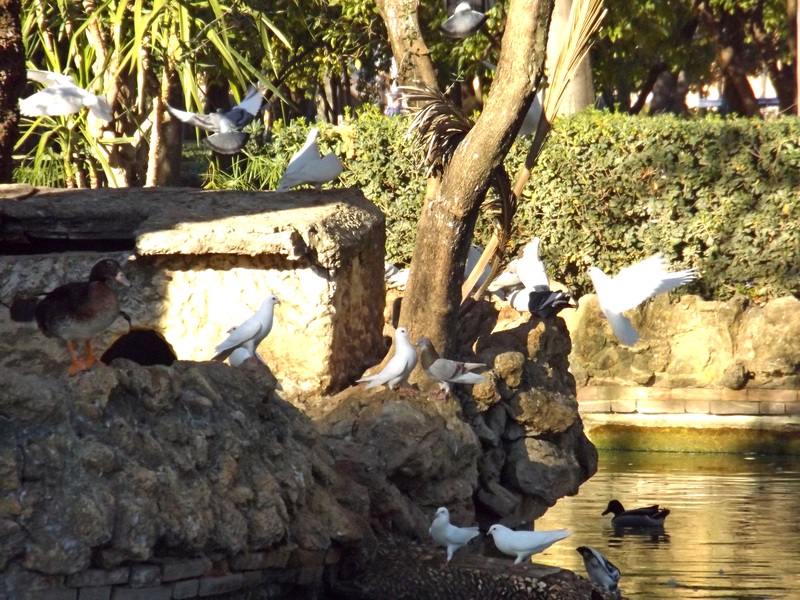 There is a particularly lovely pond in the park which draws a number of birds, including beautiful white doves. We left Julie’s the following weekend and spent a couple of days with my parents who once again picked us up in their motorhome (proof that, whatever the vehicle, whilst dad is driving it will always manage to fall into the category of ‘dad’s taxi’). 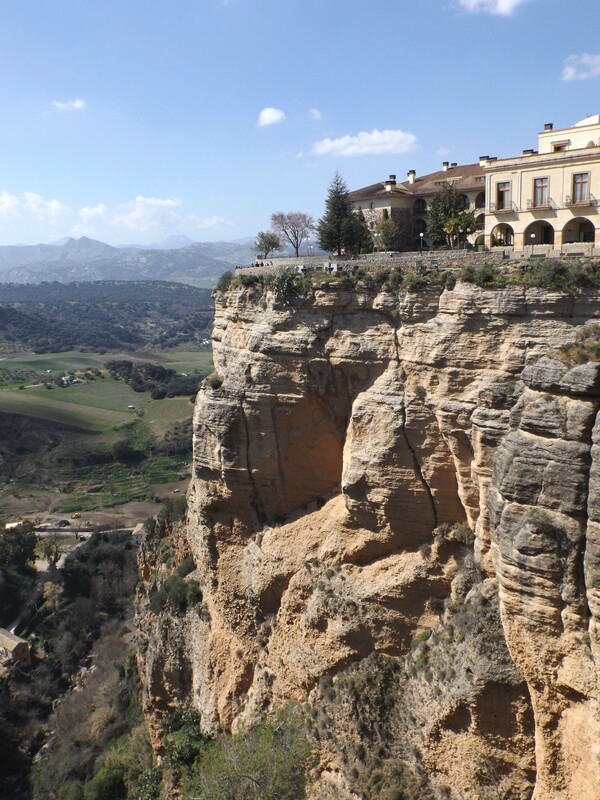 We’d all heard great things about Ronda – a large town dramatically located on two sides of a gorge – so we set ourselves up at a nearby campsite and prepared ourselves for a couple of days of sightseeing, catching-up, wine and, of course, playing cards! 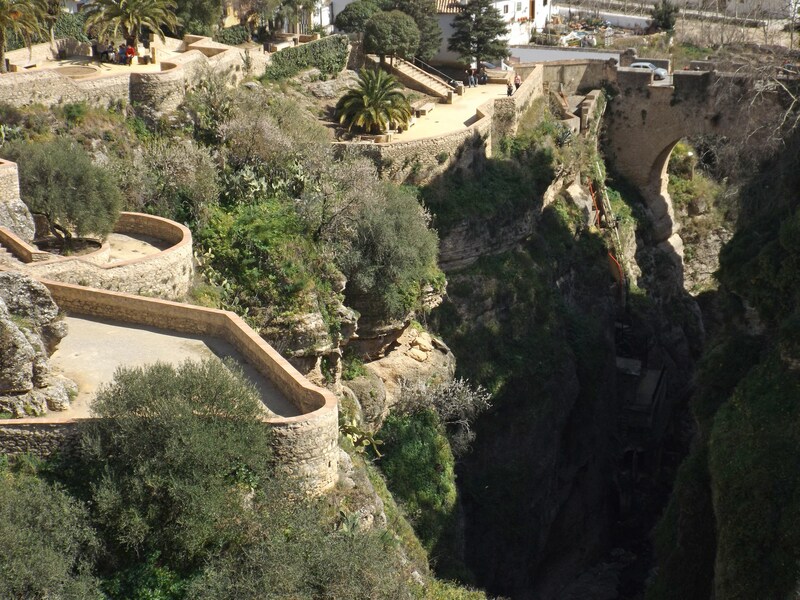 El Tajo gorge, which the Guadalevin river runs through, draws tonnes of tourists – often carried here in large coaches who disembark looking slightly confused and thoroughly middle-aged, clutching at cameras, maps and – a newer phenomenon that we’ve noticed – audio guides. Puente Nuevo (New Bridge) joins the two halves of the town and provides a stunning and rightly popular looking point to enjoy the sheer 100m drop of the gorge. It occurs to me that I’d almost finished this blog without mentioning brownies, muffins, or anything else relating to our ongoing Go Go Brownie Mission. Fear not! There was a plethora of bakeries in Ronda, and we slowly and carefully selected (to the shop assistant’s increasing dismay) roughly 7 cakes and pastries to sample on our final evening before Phil and I headed to our next workaway. Don’t get me wrong, the standard here in Spain hasn’t been on par with France, but then we had no misconceptions about that in the first place, and overall I have to say that we’ve been impressed with the selection of chocolatey, fruity and nutty cakes, biscuits and pastries on offer. Their version of pan au chocolat has been a solid favourite overall, but the cakes that we bought (a carrot cake and chocolate gateux-type cake) were also very delicious – lighter than what you’d usually get in England but that was a good thing as it meant we could eat even more! A particular shout-out goes to the raspberry muffin, too. Thanks again for reading, especially if you made it past those last paragraphs of pure waffle (intentional pun, I’m not gonna lie).